The term serendipity is solidly entrenched in English usage, including book titles (above). Poster for a play (above) and even household items (below) leverage the term serendiptiy. Continuing Richard Boyle's retelling of the story of The Three Princes of Serendip, in which the princes leave the island of their birth and travel to the land of Emperor Beramo, where they surprise him with their deductions concerning a lost camel. Emperor Beramo is so astounded by the princes' sagacity in the matter of the missing camel that he invites them to be his guests. He is soon convinced that they are blessed with the powers of prophecy when they divine that one of his counsellors is planning to poison him. Their remarkable abilities prompt him to tell them a strange story. He relates how there was once a Mirror of Justice in his realm that revealed the guilty, so ensuring peace and tranquility. However, the mirror was stolen and taken to another land, where it came into the possession of a Virgin Queen. Beramo urges the princes to retrieve the mirror so that justice can be restored. Their task is complicated by a giant upright hand that has appeared upon the sea near the queen's capital and is terrorizing the inhabitants. The decision is made to bring the mirror to the shore and orient it towards the hand. As a result, the hand starts to clutch at animals rather than humans. Understandably, the queen is reluctant to part with the mirror, as it now prevents any further human loss. The daunting challenge for the princes is to subdue the hand once and for all. The princes arrive at the queen's capital and proceed to the beach to confront the hand. The eldest realizes that it is a symbol illustrating that if five men unite for a single purpose, they can conquer the world. So he holds up his hand with only the second and third fingers erect, demonstrating that it is an error to believe that five united men are necessary, when only two would suffice. The giant hand disappears forever beneath the sea and the queen gracefully surrenders the mirror. When the princes return the Mirror of Justice to Beramo, they learn of the catastrophe that has befallen the emperor in their absence. Beramo has fallen in love with a beautiful slave girl called Diliramma, who one day questioned his honour in public. In a fit of rage, he had her bound and abandoned in a forest. The next day, Beramo was filled with remorse and ordered a search for his paramour. No trace of her was found, leaving Beramo ill with sorrow. Witnessing the emperor's suffering, the princes advise him to build seven beautiful palaces and to reside in each one for a week. In addition, the best storyteller in each of the seven most important cities of the empire is to be brought into his royal presence to recount a marvellous story. Whoever compiled the stories that are interwoven in The Three Princes of Serendip was informed about Persian as well as Indian sources. Thus, in the tradition of Persian narrative, the overarching story of the princes' adventures provides a framework for relating seven novellas at this juncture. This format appears to be patterned after the Persian poem, The Seven Beauties, by Nizami. The novellas (the seven stories told to Beramo by the seven storytellers) have similar themes: love and hate, innocence and wickedness, mistaken identities, multiple coincidences and magic powers. Unfortunately, they are too long to be synopsized here. Over the weeks, in his various palaces, Beramo listens with appreciation to six of the stories, his health steadily improving. While listening to the seventh story, about a ruler who spurns his lover, Beramo suddenly realizes that it concerns Diliramma and himself. On being questioned, the storyteller reveals that he knows Diliramma and that he is searching for her lord to tell him that she still loves him despite his act of cruelty. Overjoyed, Beramo sends for Diliramma and they are reunited. Beramo asks the three princes how they conceived such an effective remedy. They tell him they recommended seven different palaces to be built so that variety might cure the root of his illness, insomnia. As no trace of Diliramma had been found in the forest, they refused to believe that wild animals had eaten her. Therefore they suggested that storytellers be summoned from afar in case news of her might be received. As Diliramma had been discovered in the forest by a travelling merchant, who took her far away, their strategy turned out to be precisely correct. The princes return to Serendip, and the story ends with the three wise sons of King Giaffer becoming three wise rulers. Upon Giaffer's death, the eldest son succeeds his father as King of Serendip. The middle son returns to the land of the Virgin Queen, marries her and becomes king. Emperor Beramo, who has a daughter, sends for the youngest son and offers her in marriage. Soon after the wedding, Beramo dies, and his son-in-law becomes lord of his empire. This, then, is the endearing story of the Three Princes of Serendip. The background to its publication is no less intriguing. The slim volume was popular with the intellectuals of 16th century Venice, whose favourite pastime was riddle-guessing and reading from topical books, such as Giovanni Boccaccio's The Decameron. Collections of riddles, fables and the like were published in large numbers during this period; some books, such as The Three Princes of Serendip, owed their very existence in print to the need for new material to fuel the literary games played in elegant Venetian parlours. That the publisher and supposed compiler of the work, Michele Tramezzino, accurately gauged Venetian literary tastes of the period is evident from the fact that a second edition was published in 1584. Furthermore, the book became popular abroad in Europe. In 1583, a German translation appeared. This was followed in 1610 by the first translation into French. The first appearance of the book in English occurred in 1722, titled Travels and Adventures of Three Princes of Sarendip. However this was based on another French translation, published in 1719. The translator added other stories, so this version does not accurately reflect Tramezzino's work. Most importantly, it was this version that Horace Walpole read as a boy, and which lingered in his mind until adulthood, when it became the vehicle for the coinage of serendipity. As mentioned earlier, the English speaking world had to wait until 1965 – 400 years after the original publication - for an English translation direct from the original Italian. This is extraordinary considering the speed with which the tale was translated into French and German, and one reason why it is so little known. The book contains fables from the Indian Panchatantra, but some of them are known in other lands. The tale with the widest currency is that of the one-eyed camel. The same tale is found in the Jewish Talmud and in the folklore of Korea, Ukraine, Serbia, and Croatia. In 1767, Voltaire was accused of plagiarizing the camel episode from the 1722 ersatz French 'translation' of The Three Princes. Voltaire had written a story called The Dog and the Horse that features a philosopher called Zadig who, just like the three princes, makes brilliant deductions from marks in the sand. But the story, in one form or another, was known by many peoples long before either Voltaire or the 'translator' lived. On a more general level, the leitmotif of three princes occurs in folklore worldwide. For instance, there is a Middle Eastern tale called The Three Princes, retold in recent years by Eric A. Kimmel (New York, 1994), in which a beautiful princess sends her three suitors off to find a rare object, saying she will marry the one who returns with the greatest wonder. Each finds a wonder indeed, and together they save the princess's life. Since she can marry only one, she chooses the prince who made the greatest sacrifice. Fortuitously, it is the one she has loved all along. By chance I discovered that Isaac Asimov wrote a story called "The Fable of the Three Princes," which is contained in Magic: The Final Fantasy Collection (New York, 1996). This variation on a theme features King Hilderic and Queen Ermentrude of Micrometrica, who have triplet sons and wonder how to decide which prince should succeed as king. In order to make a choice, the king sends his sons on a long journey in search of wealth for his impoverished kingdom. The princes end up in a rich and powerful kingdom where – yes, you guessed it – they compete for the hand of a beautiful princess. "Silence fell in the great hall of the palace at Anuradhapura as the three princes began to relate the seven mysterious tales they had heard in the seven Persian palaces of the Emperor Vahram. And the tales they told were of fantasy and magic, fate and sorcery, kind dragons and terrible demons, the good and the beautiful, the triumph of virtue courage and patience over evil and discord." Hodges died quite recently, in October 1999, so the previous paragraphs serve as a Sri Lankan obituary of this unfamiliar writer, who embraced both Serendip and the concept of serendipity. Perceptive readers will have realized that the common factor linking my previous three articles in the Sunday Times is the Oxford English Dictionary (OED). This is no coincidence, for their disparate subjects fall within the ambit of recent research into the 67 words of Sinhala and Sri Lankan origin to be included in the third edition of the OED – OED3. Now is the time once again to bring up the subject of the greatest repository of the English language. I maintained in "The Professor and the Madman" (Sunday Times, July 16, 2000) that the OED entry for serendipity is deficient because it is not specific about the authorship of The Three Princes of Serendip. More important, though, is the criticism that the OED is largely responsible for perpetuating the other main misconception regarding serendipity. This is contained in the OED's definition of the word – "the faculty of making happy and unexpected discoveries by accident" - a definition at variance with Walpole's original meaning. Theodore R. Remer, editor of Serendipity and The Three Princes, puts the argument most succinctly: "He (Walpole) prescribed a gift for discovery by accident and sagacity while in pursuit of something else. These ingredients are cumulative and should be stated in toto; one or more Walpole-prescribed ingredients should not be lacking. It is possible that the nouns used by dictionaries, such as 'ability,' 'faculty,' or 'aptitude' may imply a 'gift' – but these terms are not quite the same as gift. Nor are the words 'happy,' 'valuable,' 'agreeable,' or 'desirable' any substitute for 'sagacity. Earlier this year I referred this criticism to the OED3 editorial team. The Associate Editor, Jeremy Marshall, replied: "It is established policy of the OED that we aim to describe how words are or have been used, not how they 'ought' to be used. I agree that Walpole's original usage should be mentioned, but it is indeed given in the OED's etymology; however untrue later usage may be to the coiner's intention, it must form the basis of the definition of the word as it has been adopted into the language." Where Marshall writes of the OED's aims as being to describe "how words are or have been used, not how they ought to be used," he alludes to a lexicographical principle pioneered by James Murray, the first editor of the dictionary. Previous lexicographers, such as Samuel Johnson, believed they had an interventionist duty to correct language usage. Murray, on the other hand, insisted that the lexicographer should take a passive role, dedicating himself to recording the history of words and how their usage changes over time. With serendipity, it is clear that there was a lacuna in usage from the time Walpole coined it until 1875 or thereabouts, as I shall shortly explain. Remer declares that it was "untainted by popular usage" during this period. In order to adhere to the historical principle described above, I believe it is necessary for the OED to point out this change in usage, rather than relying on the user to spot the difference between the etymology and the definition. Marshall then went on to answer my own criticism: "As for the origins of the term, I think the OED is unspecific about the authorship of The Three Princes of Serendip for the simple reason that the editors did not know it." This prompted me to send a copy of my article "The Accidental Paradise," (Serendib magazine, March/April 1999) - on which this series is based - to the OED3 editorial team. Hopefully, a change will be made to the entry during the current revision programme, which around the year 2010 will result in the complete OED3, containing an estimated 1.3 million words. Discussion regarding the history of the word serendipity goes back some 125 years, prior to the publication of the OED. The major forum then was the Oxford periodical Notes and Queries: For Readers and Writers, Collectors and Librarians. Edward Solly, an editor of Notes and Queries, published the first inquiry on February 27, 1875. "Princess of Serendip," it was erroneously headed. "Where in his admirable letters does Walpole refer to the story of the Princess of Serendip, and where is the story itself to be found?" Solly replied on April 17, 1875: "Horace Walpole used the word serendipity to express a particular kind of natural cleverness." He then went on to cite the camel story from The Three Princes of Serendib. "I presume it is the story of these three Princes that your correspondent is inquiring after," he ended. The next query was published on July 27, 1879. 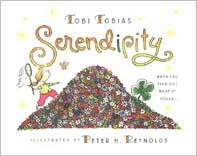 "Serendipity – A word coined by Horace Walpole to express luck of a person who sooner or later obtained what he desired. Can anyone suggest any history to the word? It does not appear to have any root or etymology. Did it not probably arise from some mere passing table-talk? The word has been quoted in some recent monthly." Solly began by providing a more accurate definition – "the discovery of things which the finder was not in search of." He continued: "I have recently noted at the end of Impartial History of the Life and Actions of Peter Alexowitz, Czar of Muscovy (London, 1724) an advertisement of the book Horace Walpole referred to entitled Travels and Adventures of Three Princes of Sarendip, interspers'd with eight novels, illustrated with 8 Copper plates. Sold by W. Chetwood at Cato's Head in Russel Street, Covent Garden; and T. Edlin at the Princes-Arms, over-against Exeter-Exchange. Walpole was about five years old when this 'silly fairy tale,' as he calls it, was published in 1722." (Solly here refers to the English version from a French translation, mentioned earlier.) "It is now scarce, for I have not been able to meet with a copy in the last few years, during which time I have been hoping by 'serendipity' to find one whilst looking for other things." Solly is credited in the OED with the first subsequent usage of the word after Walpole's coinage. The relevant illustrative quotation is contained in Solly's 1880 Index of Titles of Honour: "The inquirer was at fault, and it was not until some weeks later, when by the aid of serendipity, as Horace Walpole calls it – that is, looking for one thing and finding another – that the explanation was accidentally found." More recent examples include the following from the April 1955 issue of Scientific American: "Our story has as its critical episode one of those coincidences that show how discovery often depends on chance, or rather on what has been called 'serendipity' – the chance observation falling on a receptive ear." Another comes from the October 1980 issue of TWA Ambassador: "It becomes a glum bureaucracy, instead of the serendipity of 30 people putting out a magazine." One of many illustrative quotations for Sinhala and Sri Lankan words I have submitted to the OED happens to be for serendipity. It comes from William McGowan's Only Man is Vile: The Tragedy of Sri Lanka (New York, 1992). Although not particularly illustrative, at least it has direct reference to the island, which no other does. 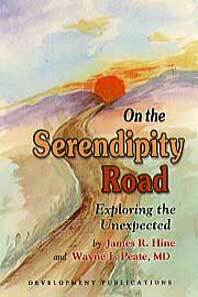 "If serendipity were to strike the island now, I'm afraid the dose would have to be massive," it reads. From serendipity comes the derivative serendipitist, which is illustrated by a marvellous piece of 'stream of consciousness' by James Joyce in Finnegan's Wake (1939): "You semisemetic serendipitist, you (thanks, I think that describes you) Europasianised Afferyank!" There is, of course, a separate entry for the adjective serendipitous sense a being "Of persons having the faculty of making happy and unexpected discoveries by accident." One of the illustrative quotations is from the Times Literary Supplement, August 22, 1958: "In the matter of adventure Miss de Banke was serendipitous to the nth degree." The more usual sense b is "applied to discoveries, meetings, etc., of this kind." The earliest quotation for this sense is from John Wakefield's Death the Sure Physician (1965): "It's rather fortunate that I should come across a chap with similar interests . 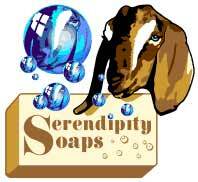 . . distinctly serendipitous in fact." Hence the adverb serendipitously, one illustrative quotation of which comes from the Daily Telegraph of November 29, 1974: "We can imagine Hodder meeting Stoughton . . . and their discovering, serendipitously, a mutual interest in books. Another comes from the Times Literary Supplement of November 14, 1980: "He had the knack of always being serendipitously on hand when a tenement caught fire." I have also submitted to the editors of OED3 the previously mentioned quotation by John Barth for serendipitously. Readers will recall that he writes in The Last Voyage of Somebody the Sailor (New York, 1991): "You don't reach Serendip by plotting a course for it. You have to set out in good faith for elsewhere and lose your bearings serendipitously." This quotation has extra significance because it is, in itself, an excellent definition of serendipity. Moreover, it is a definition that fittingly employs the island name from which the word is derived. Return to Part I of "The Three Princes of Serendip" | Richard Boyle's "Serendipity: How the Vogue word became Vague"